NEW YORK -- General Motors Co. is now profitable in all of its regional units including Europe, CEO Dan Akerson said. That's a sign of a turnaround for a company whose Opel/Vauxhall unit is still in fix-it mode. GM's global presence was one of the selling points during the company's initial public offering last year. In July, Akerson dispelled rumors that GM planned to sell Opel. 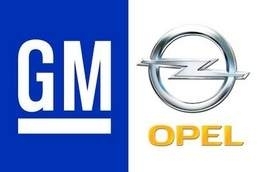 GM was correct to have reversed an agreement to sell its European Opel unit in 2009, he said. "It was a bad deal," Akerson said. "We were giving Europe away." Akerson was speaking on Tuesday at Bloomberg's Dealmakers Summit in New York. GM predicts that its European business will be profitable this year, excluding some costs. Losses at the unit were a question mark for investors when the company went public in November 2010. GM has been cutting capacity in Europe and has hired Detroit consulting firm Alix Partners to help the company find efficiencies in engineering and revenue opportunities in its sales and marketing operations. Opel earned $102 million in the second quarter before taxes and interest. The unit lost $390 million in the first quarter because of $395 million in goodwill impairment costs. GM has lost $14.5 billion in Europe since 1999. The automaker in 2009 agreed to sell 55 percent of Germany-based Opel to Magna International Inc. and partner Sberbank, before reversing course in November 2009. GM's goal for Europe is to be "profitable by just better than break-even before restructuring charges," Nick Reilly, president of GM Europe, told reporters Sept. 13 at the Frankfurt auto show. "In 2012, we won't have those restructuring charges," Reilly said at the time. "They're mostly done. We'll get the full 12-month benefit of the restructuring that we've done."